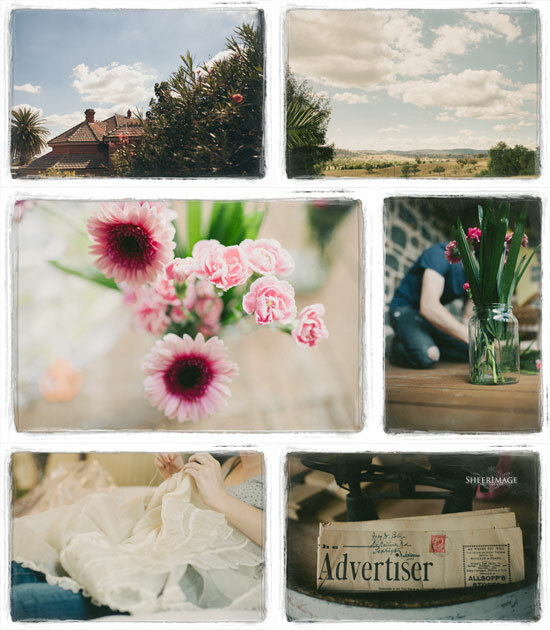 Today we have another beautiful real wedding to share from lovely customers Nichola and Hugh. 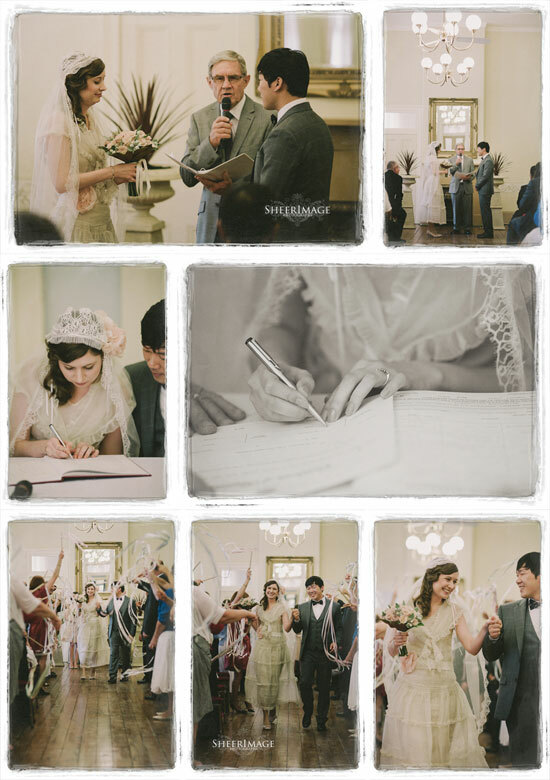 Their country ceremony and reception with 1920s theme was captured by Sheer Image Photography. Held at Hermitage Hill in Wellington, (369 km north-west of Sydney) the converted grand old hospital was a magnificent setting for the day. Nichola's dress was the real deal - a 1920s find. 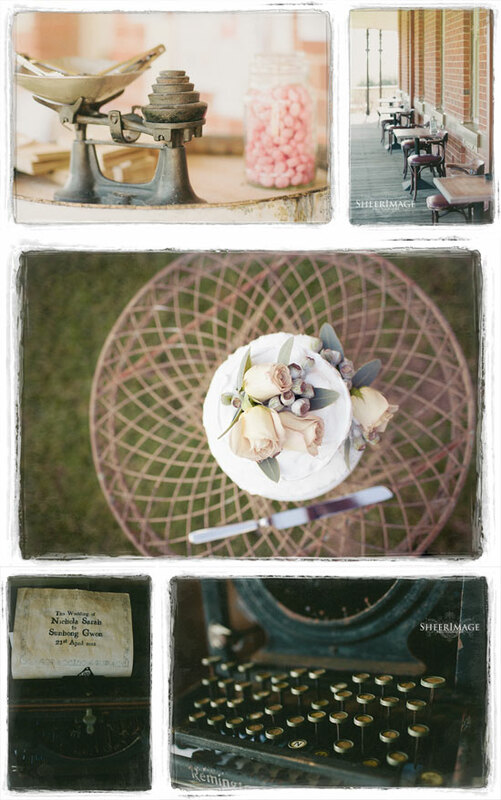 The vintage vibe was carried through with gorgeous little touches such as the old typewriter and sweet scales. 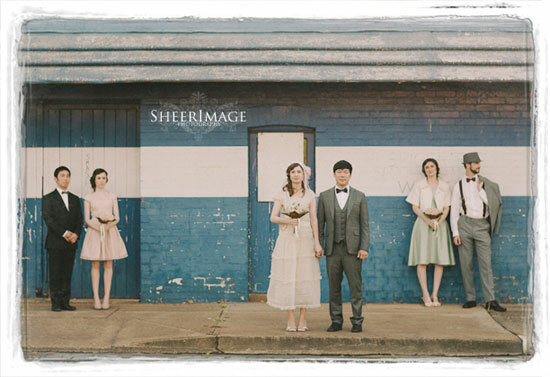 After the ceremony the wedding party headed into town for some great photo opportunities by abandoned shopfronts and the train track. 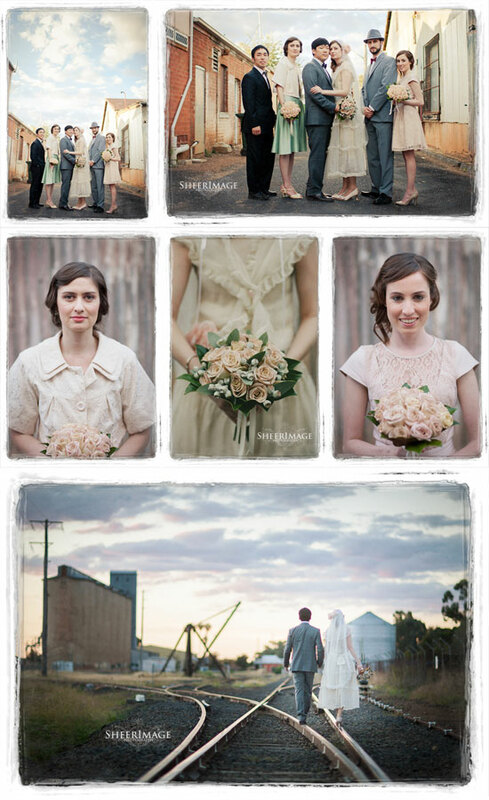 Rusty corrugated iron and brick walls provided great backdrops. The wedding is really beautiful!I like the wedding's romantic theme and the bride's amazing wedding dress.Thanks for sharing! Lovely wedding! The couple seems great together. I like their gorgeous wedding accessory which is giving a stunning look to their countryside wedding. I love that romantic wedding!